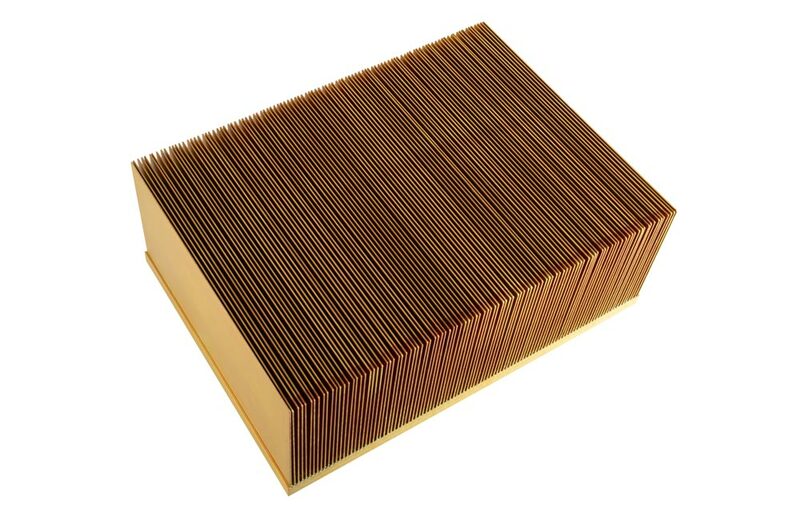 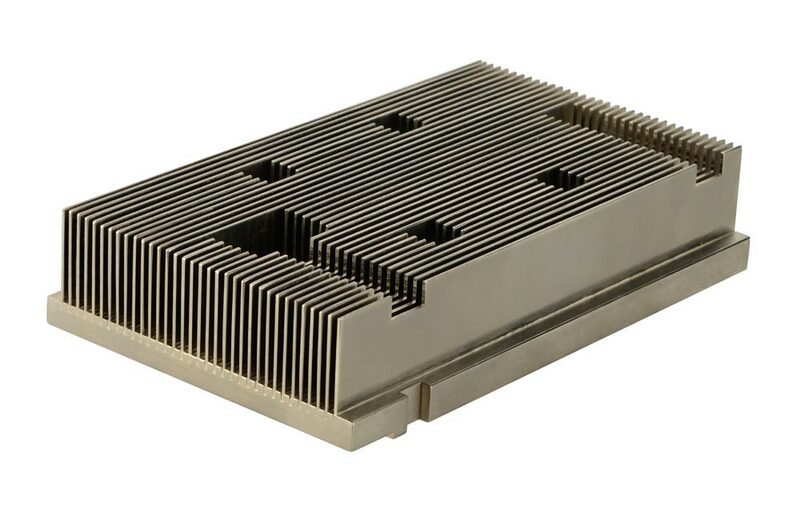 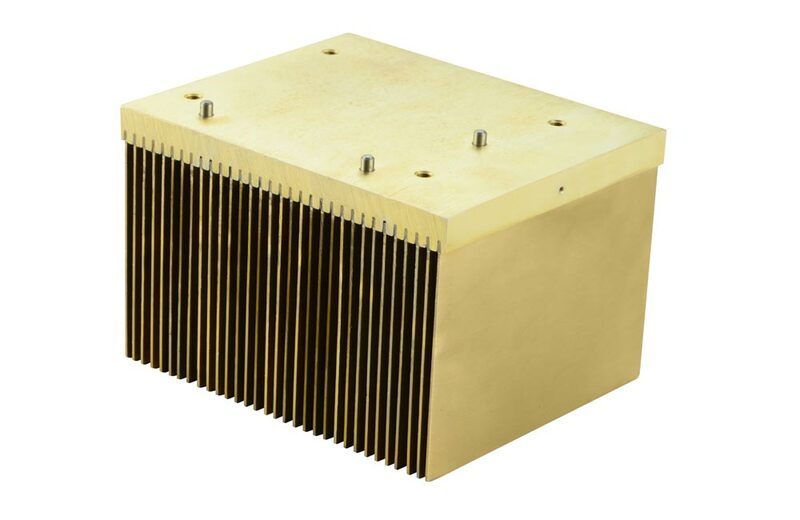 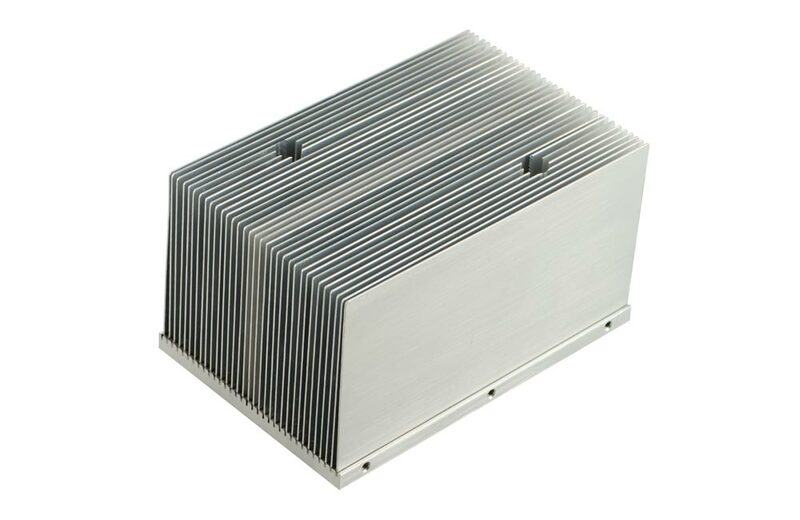 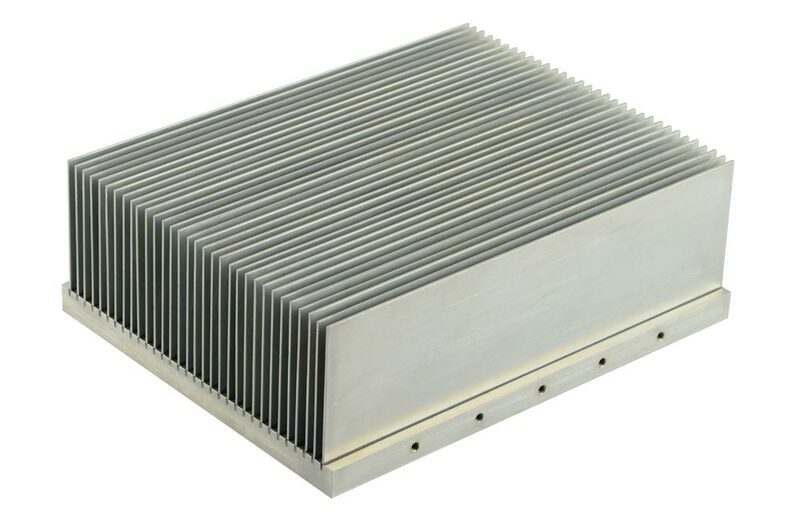 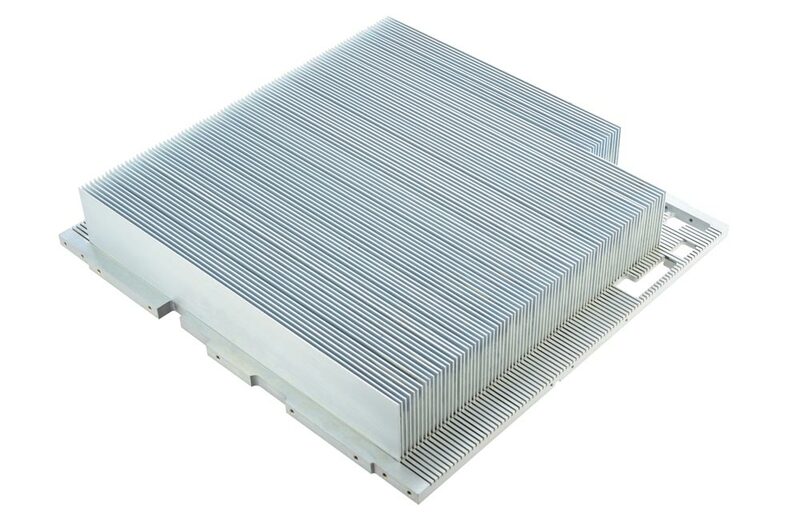 Bonded fin heat sinks overcome some of the limitations of extruded aluminum heat sinks by allowing much taller fin heights and denser fin spacing. 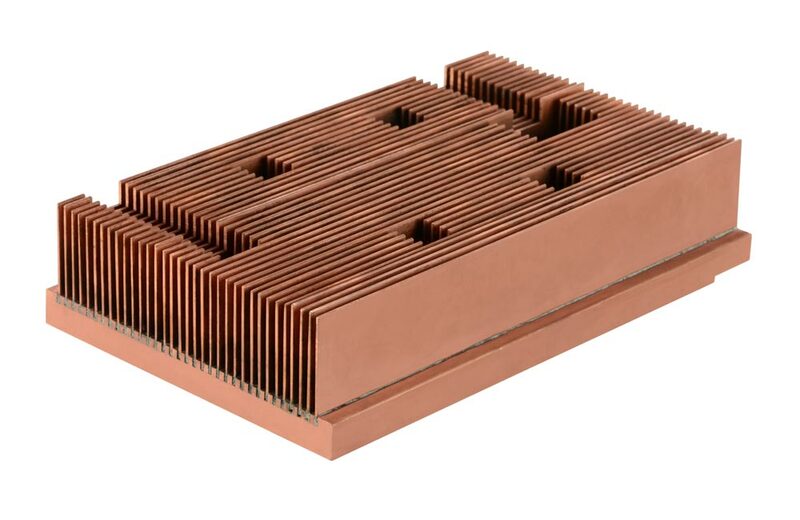 They also make it possible to use other metals, such as copper, which have greater thermal conductivity but are not as readily extruded as aluminum. 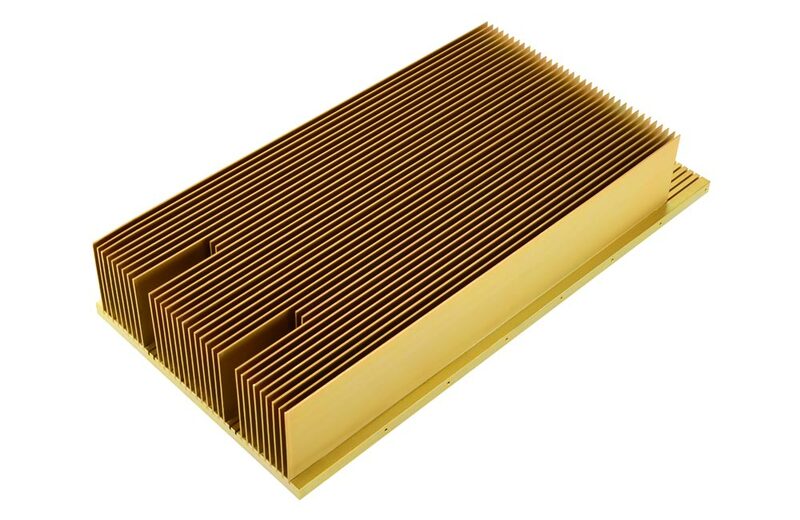 In the basic construction, individual fins are set into a slotted base using high quality industrial grade epoxy glue with powdered aluminum to increase its thermal conductivity. 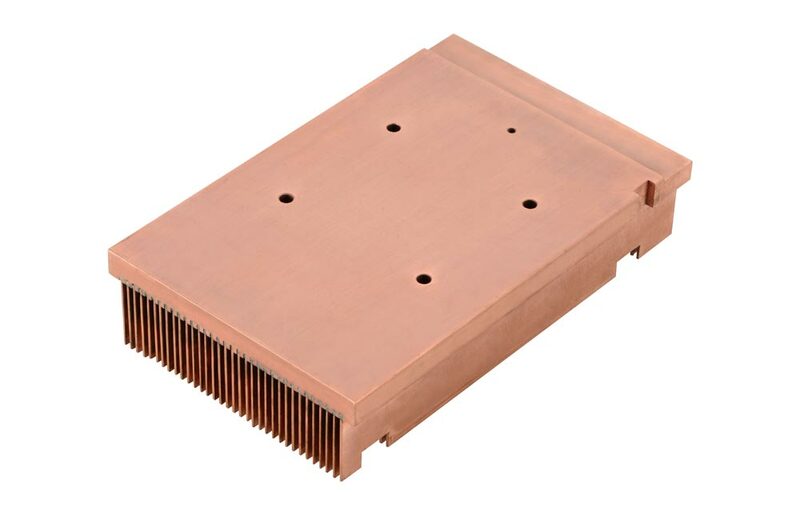 Units with copper bases and copper fins are usually soldered or brazed. 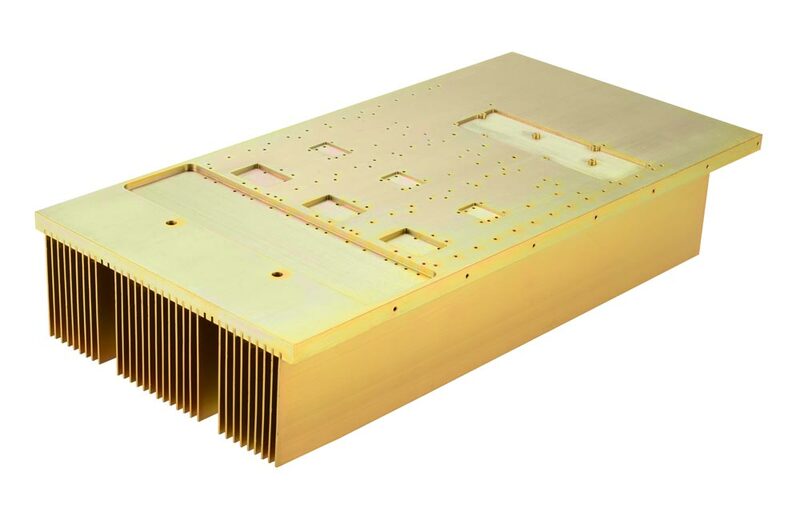 Bonded fin can also be economical way to prototype a design for testing that will eventually be extruded. 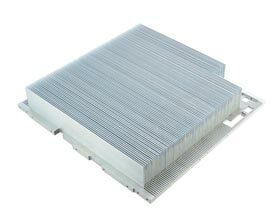 Tran-Tec has several bases in stock made from aluminum with slots extruded into them. 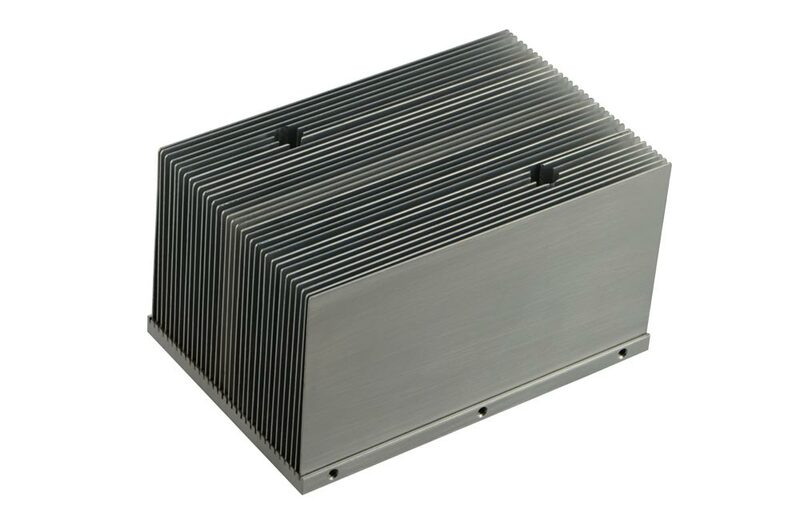 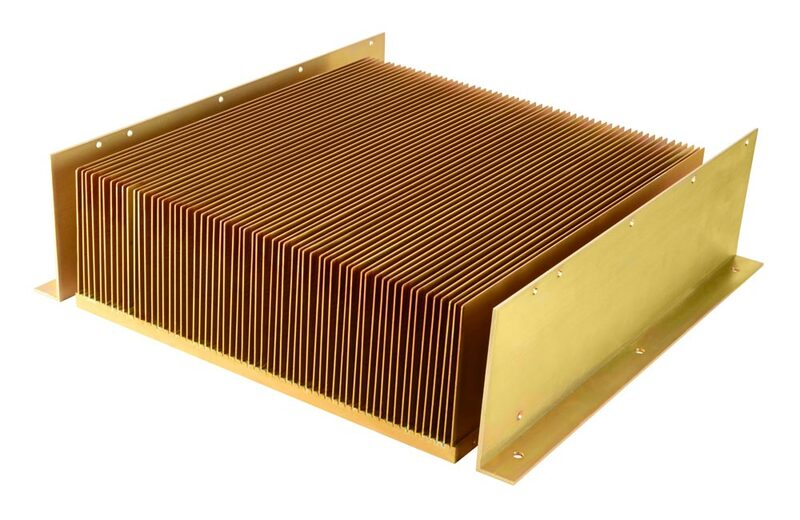 Unlike many other heat sink manufacturers, Tran-Tec does not offer only a limited range of base widths, fin heights and fin spacing. 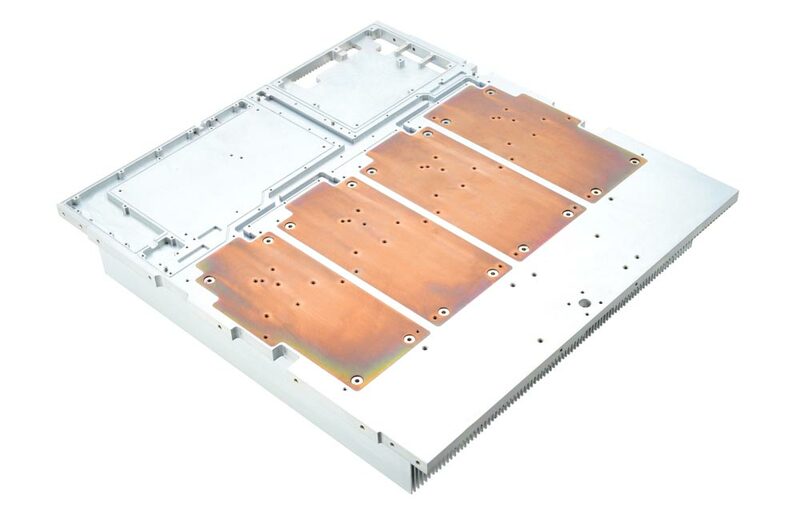 We can also custom slot bases to your specifications. 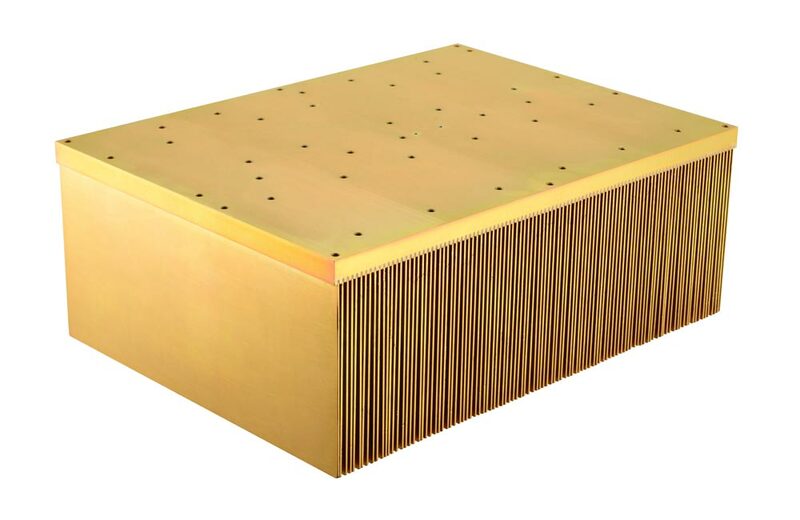 For details on available finishes, click here.